Very often an aggressive dog of any sort, whether it is aggression to dogs or aggression to people, can be mistaken for what is often termed 'dominant' behaviour. This is actually the dog showing what should be termed as nervous aggressive behaviour. In essence the dog lacks confidence and social skills for any number of reasons. This is why aversive techniques or heavy handling should be avoided as it may further erode confidence. I do see dominant dogs periodically, and it's important to establish which behaviour your dog is demonstrating to allow us to choose the best approach. 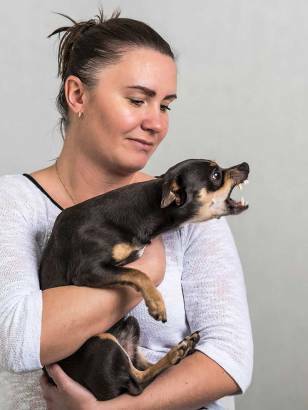 In any event all dogs and owners require a unique approach to dealing with aggressive behaviour that is suitable for the breed, age, and size of the dog. It's also fair to say that the degree of aggression to other dogs can vary hugely in my experience. Some dogs are full on 'red zoners', and others are more 'opportunists' that are for the best part manageable and require let's say a little tidying up.